Mindtree employees will quit if engineering giant L&T’s hostile takeover bid hurts their "sense of mission", said the IT company’s promoters on Tuesday. "You are a company with turnover of Rs 120,000 crore, you are 18 times the size of Mindtree. Why can't you build a great technology business with your resources and capability without disseminating another organisation?" Mindtree co-founder Krishnakumar Natarajan asked. Mindtree promoters have staunchly opposed L&T's bid to acquire the company, describing it a grave threat and value destructive to shareholders. "This is a people business. 'Mindtree Minds' have signed up for a mission not just a salary.Take their mission away and they will go...what will you be left with," Natarajan said. In the country's first hostile takeover bid in the IT sector, infrastructure giant Larsen & Toubro Monday made an offer to buy up to 66 per cent stake in Mindtree for around Rs 10,800 crore. Subsequent to these deals, L&T would make an open offer to buy additional 31 per cent stake through an open offer, it said in a late evening statement. 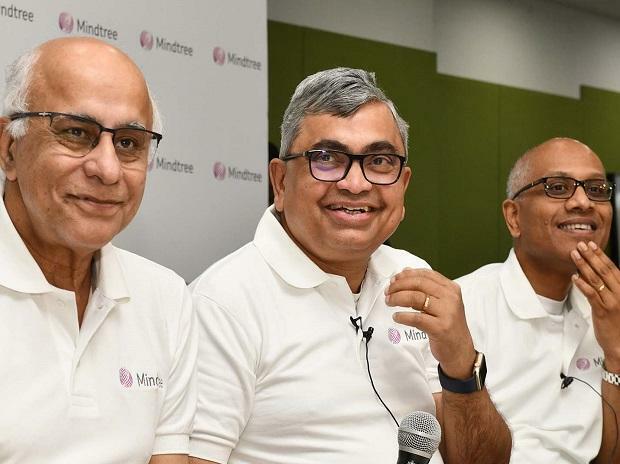 All three acquisitions are being done at Rs 980 per share, a premium of 1.8 per cent over Monday's closing price of Mindtree on the BSE. Mindtree closed on the BSE at Rs 962.50a piece. As far as buyback is concerned, the company board would deliberate on it tomorrow within the framework of the existing laws, Company CEO RostowRavanan said. "As far as buyback is concerned, the board will deliberate on the buyback or the open offer tomorrow within the framework of the laws. Obviously there are laws - what the board can do and cannot do under the circumstances," he said. Asked to comment on L&T Group Executive Chairman A M Naik that some Mindtree promoters want to exit, Ravanan said, "It is completely false. All the management team are supporting the company." Natarajan said L&T has decided to mount first ever hostile in the 50-year-old unblemished Indian IT industry. "If you persist in whatever you are doing, you will be forever be remembered for this. Is this how you want to set an example?" he asked. He said Mindtree customers have selected it for its unique culture and warned that clients will "stall all future business and even take their business elsewhere". "In the process you would have demolished shareholders value for both the companies. Is this the right thing to do?" Natarajan said. Asked about the options for the company to fend off L&T takeover, Natarajan said there are various options and the company remains hundred per cent committed to its long-term vision of building an independent company. Replying to a query, he said the independent directors will set up a committee and evaluate the open offer made by L&T. "Nevertheless, what I would like to state is our 52 week high was Rs 1,183 and the deal was done at Rs 980. That only reflects the value of transaction," he said. L&T, earlier in the day, had said in a statement that it would make an open offer to buy additional 31 per cent stake through an open offer. Replying to a query, Natarajan said Mindtrees' stand is the same as it was there for years earlier. Asked if Siddharth's disclosure on pledging his shares in 2018 complied with SEBI rules, Ravanan said there were some irregularities in Siddharth's disclosure at that point of time which the company's board and audit committee dealt with as per the rules prevailing then. "If additional information becomes available to the company whether any of the disclosures were incorrect or anything needs to be done, the company would decide accordingly," he added. 'Mindtree Minds' have signed up for a mission not just a salary.Take their mission away and they will go...what will you be left with,"
"If you persist in whatever you are doing, you will be forever be remembered for this. Is this how you want to set an example?" "In the process you would have demolished shareholders value for both the companies. Is this the right thing to do?"